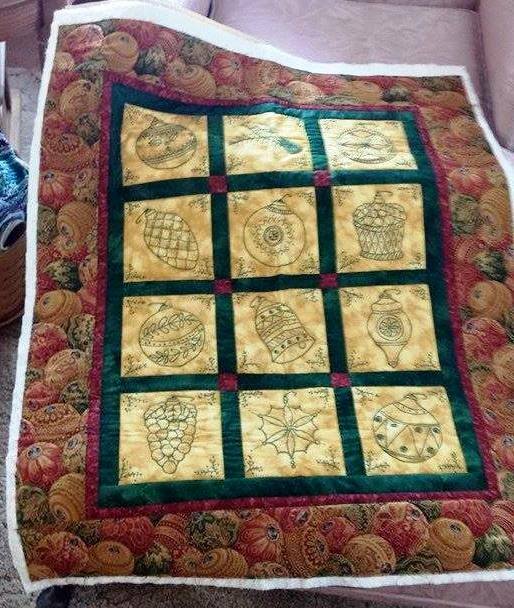 Quilt made by Donna Rose; photo below that is foot made by Sally Jenkins. 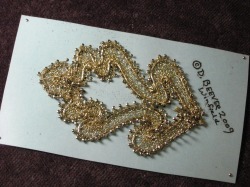 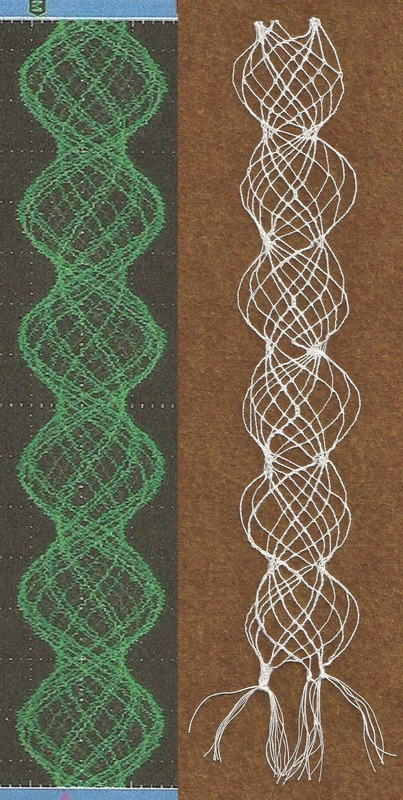 Oscillolace and Scope - wait, no, that's Lace made by Bart copying the pattern from an Oscilloscope! 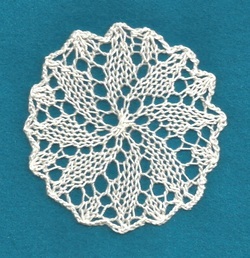 Knitted lace made by Bart following Sue's knitting class. 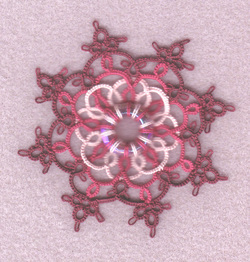 Tatted Crystal Ring Ornament made by Patricia Lyn Cobb from a kit purchased from Carolyn Groves at the Finger Lakes Tatting Conference. 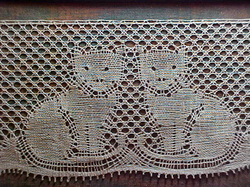 Cats in Flanders Lace, an edging by Bart Elwell. 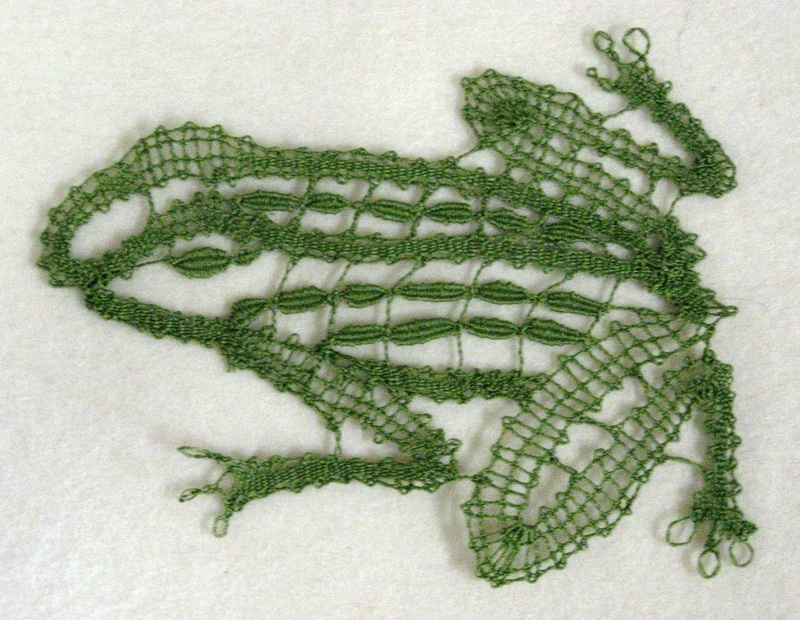 Design by Mary Niven, from her book Flanders Lace: A step-by-step guide. 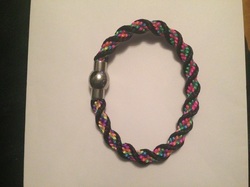 Kumihimo bracelet made by Paula Barnes. 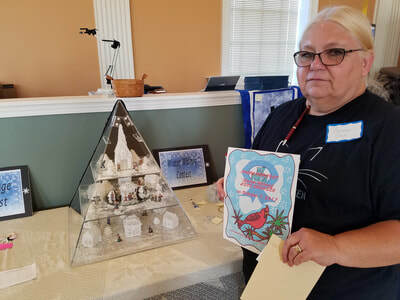 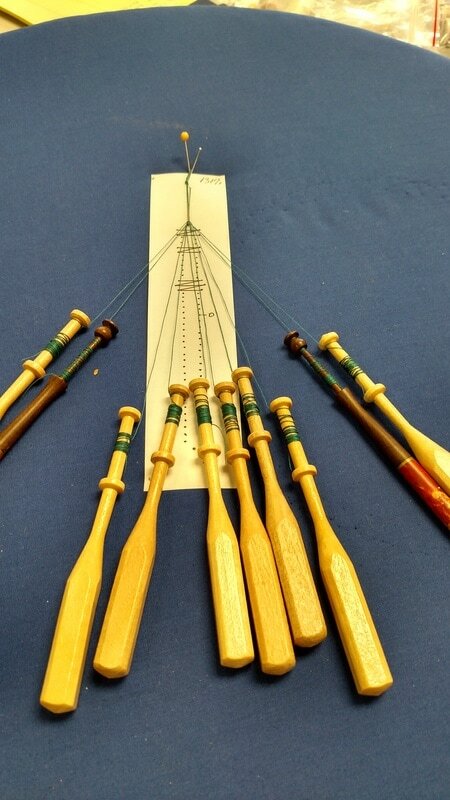 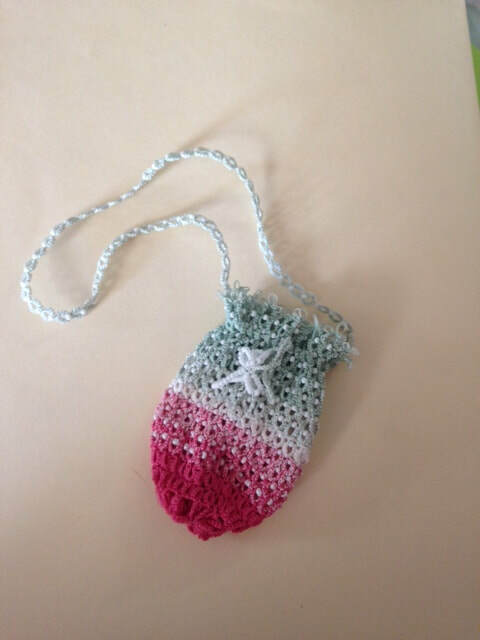 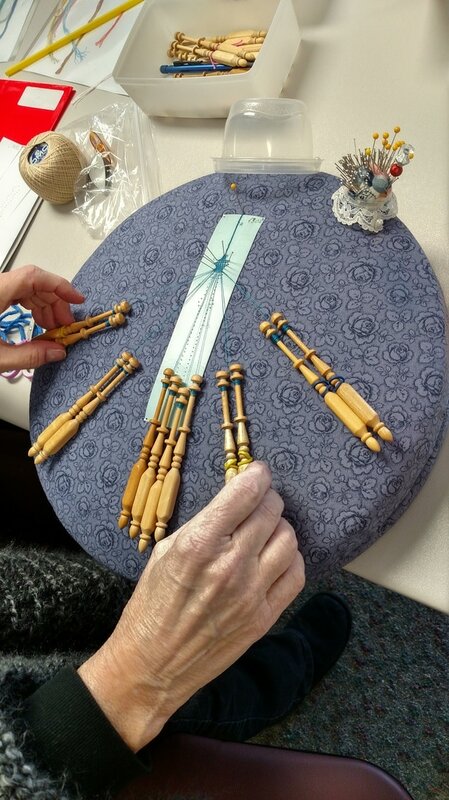 A kumihimo class was taught by Joan Thomas in the spring of 2014. 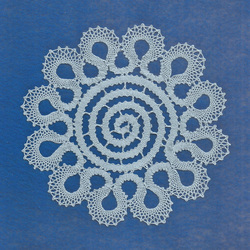 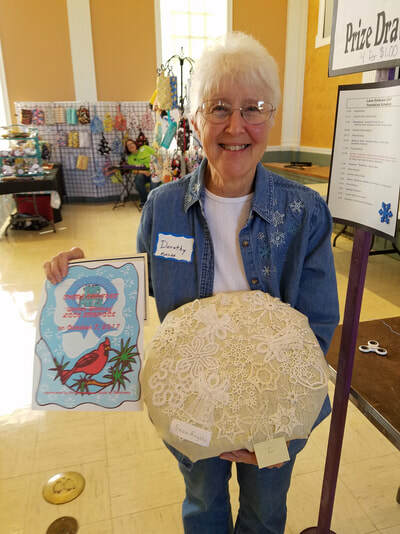 Bee Foust finished her Miracourt Lace project, begun in Debby Beever's class. 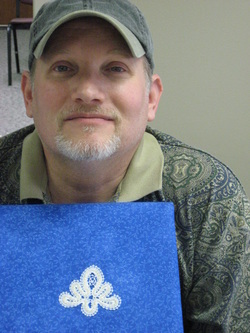 Mat made by Bart Elwell. Decoration at 2011 Christmas party. 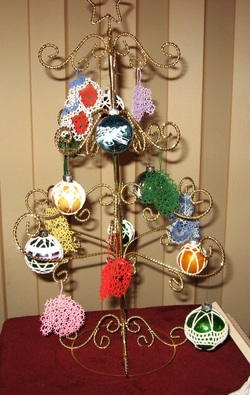 Dorothy tatted the many pairs of mittens on this decorative tree. 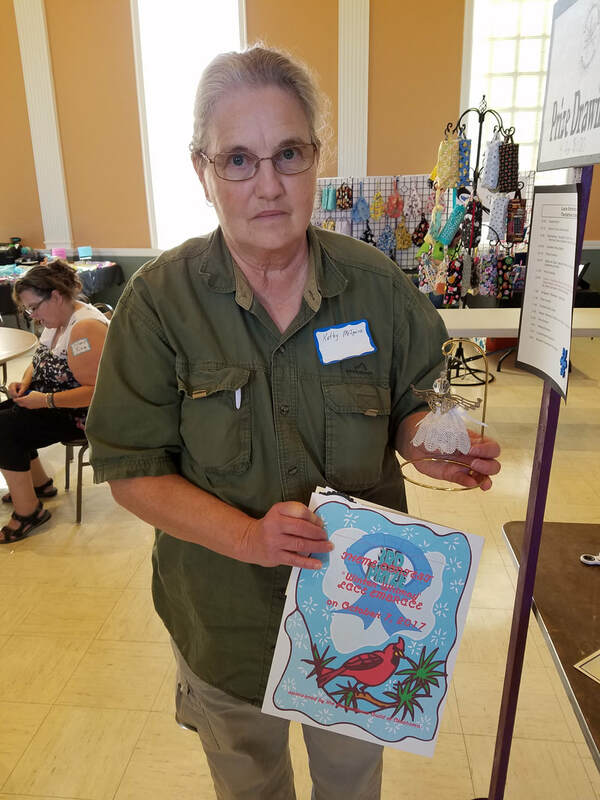 Sally bought photo-sensitive paper at Hobby Lobby in the science kits area. 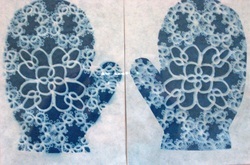 She cut out mitten shapes from paper and positioned the mitten-shaped "holes" over the parts of some lace she wanted to highlight, then took the whole works out into the sunlight. After several minutes, she rinsed the paper as directed, and voila! 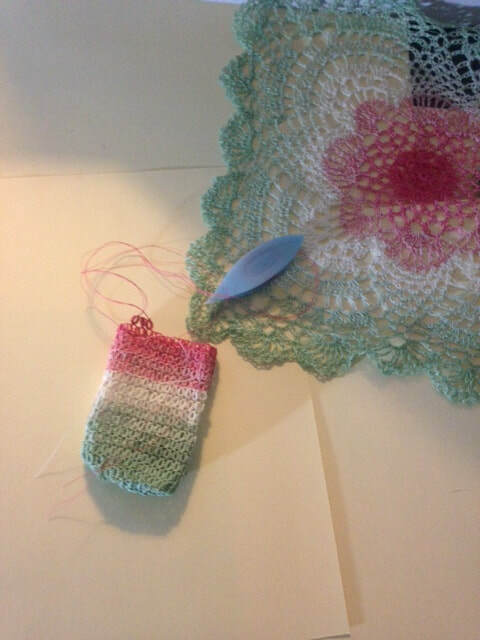 Mitten pictures! 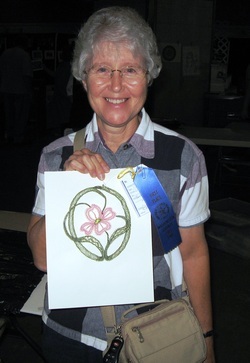 Lace Embrace 2010 attendee shows off her "make and take" item. 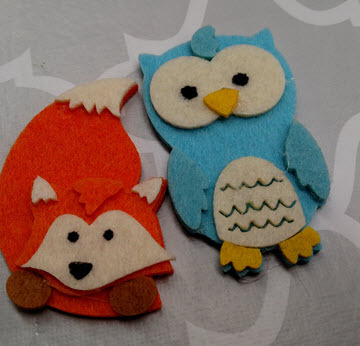 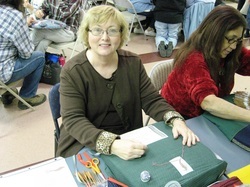 Others in background attend Lila's Vintage Buttons workshop or work on their own lace. 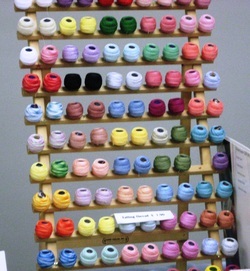 Colorful thread display from vendors entices shoppers at 2010 Lace Embrace. 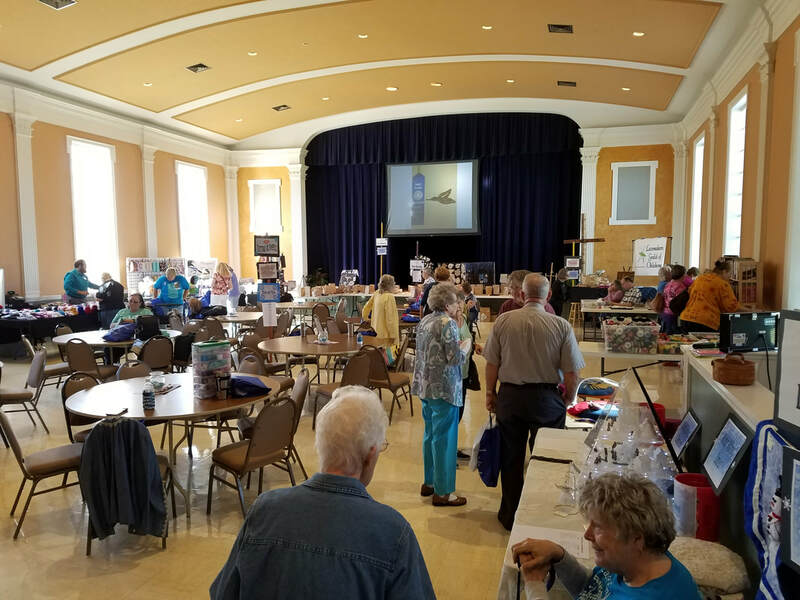 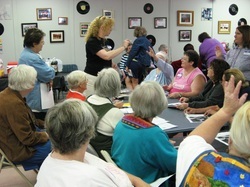 Lila Hudgins' class in making vintage buttons from thread is well attended. 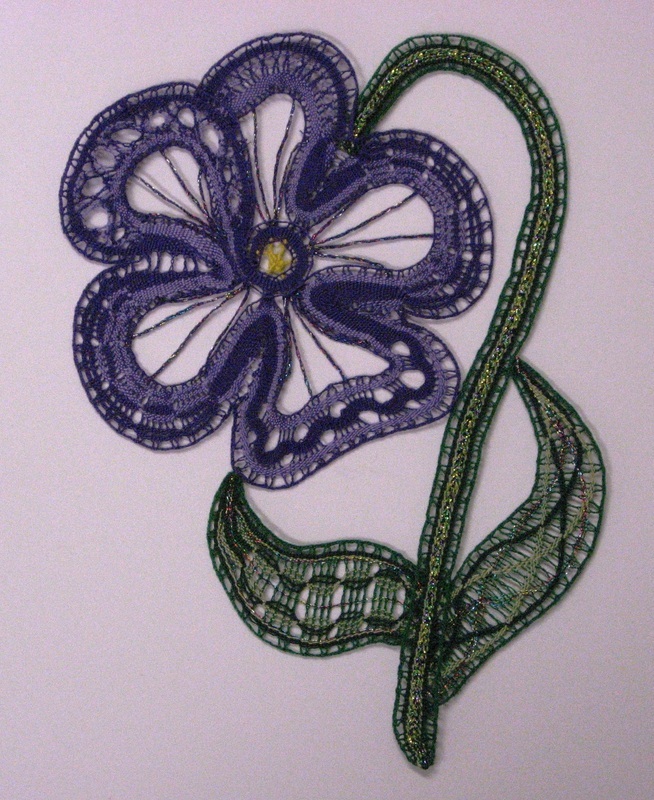 Lace Embrace 2010. 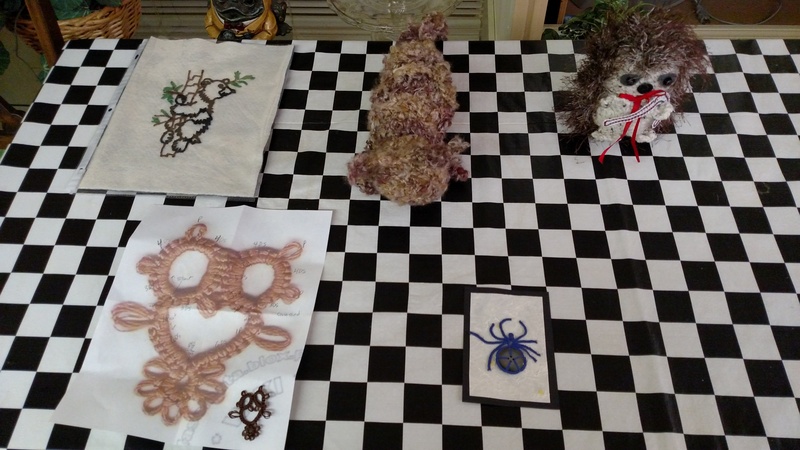 Some of the lovely displays of lace that our members shared at Lace Embrace 2010. 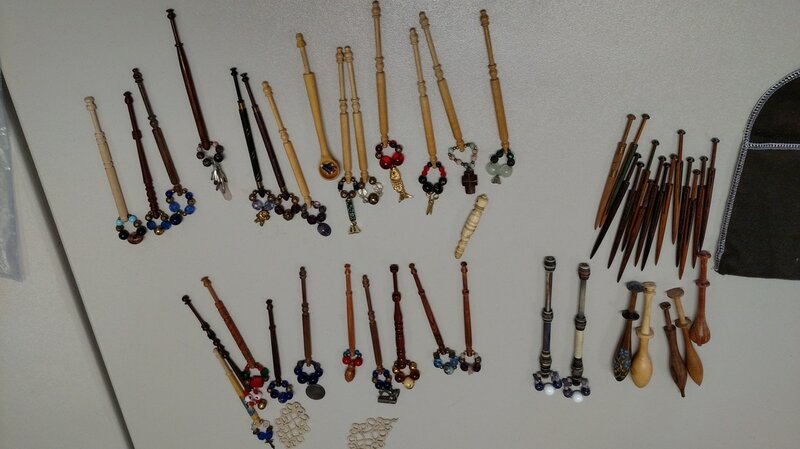 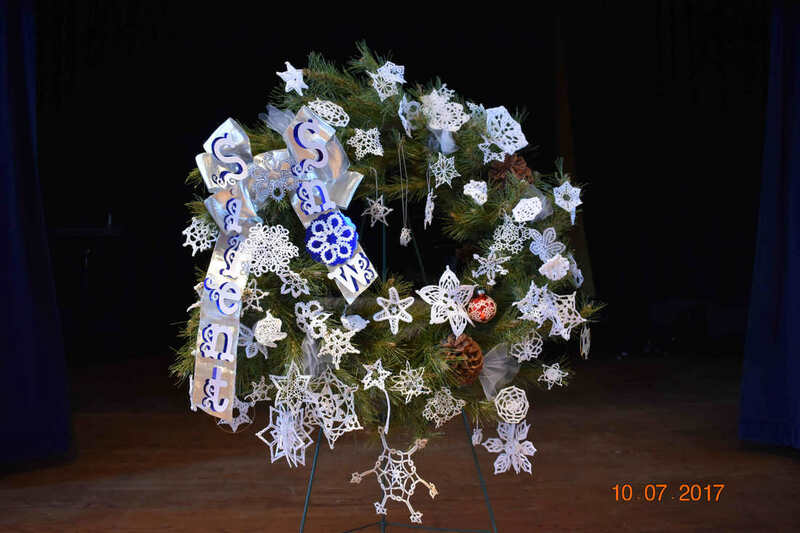 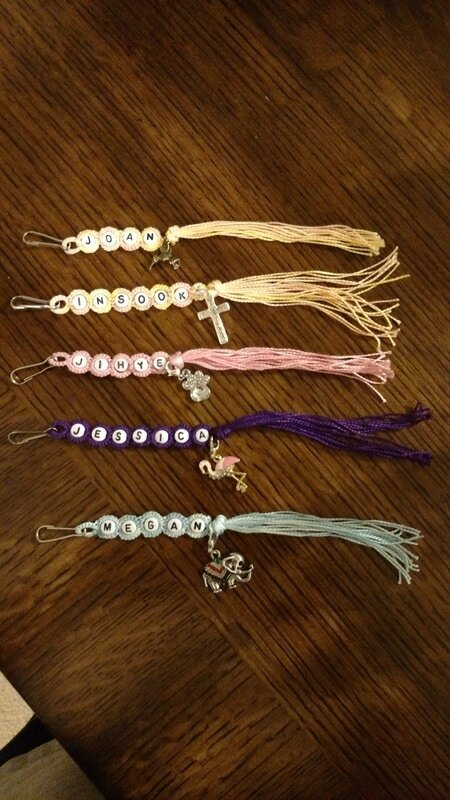 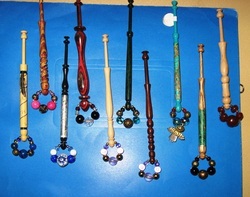 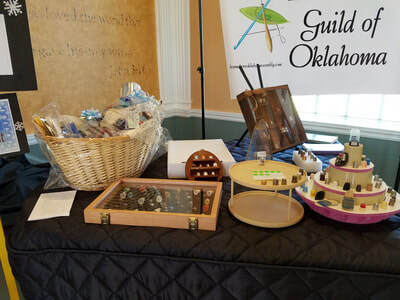 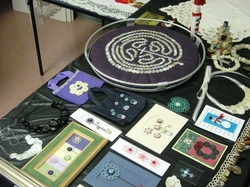 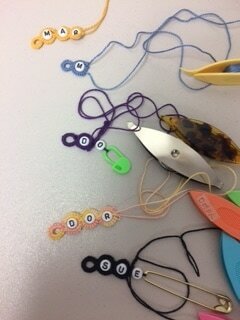 Some of the many displays of "button-craft" shared by our members at Lace Embrace 2010. 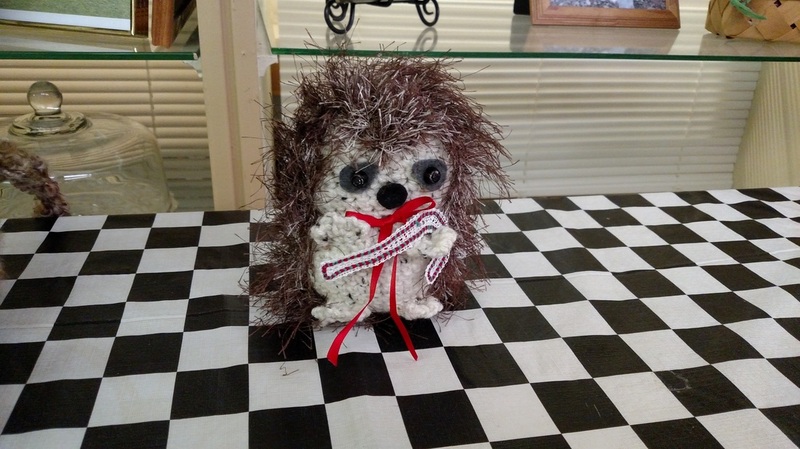 Forest Friends contest entries, Christmas party 2016. 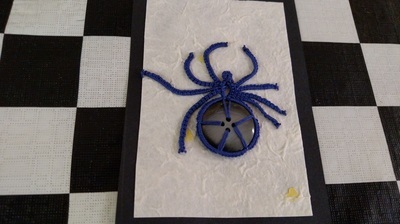 Owls by Joan; tatted spider by Charissa. 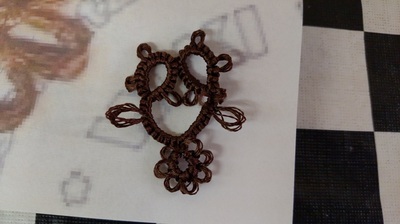 More close-ups below. 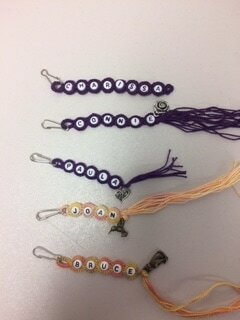 Ombré tatting & crochet by Joy.